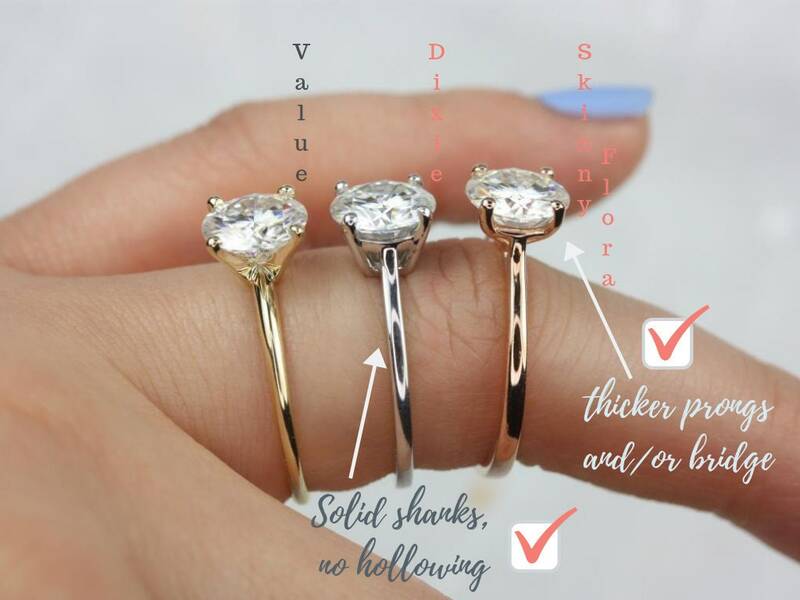 This is a fun engagement ring that is both unique and vintage inspired. 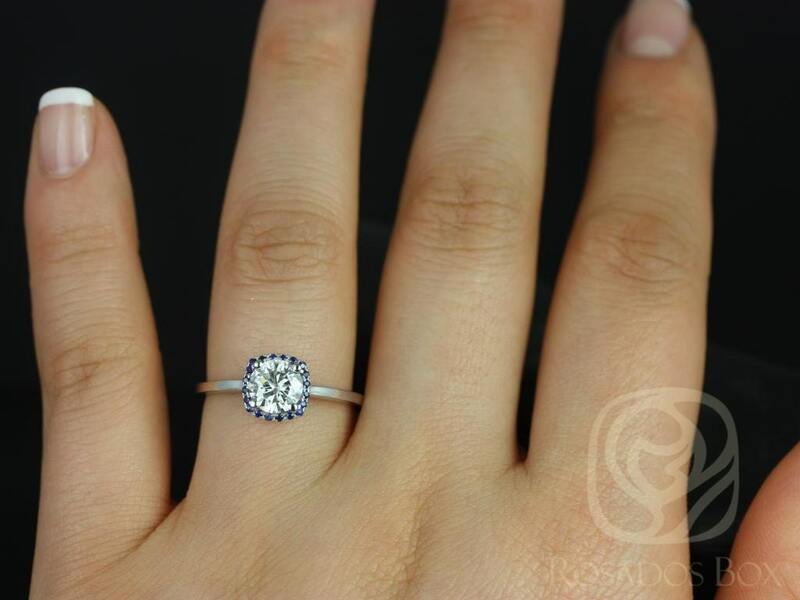 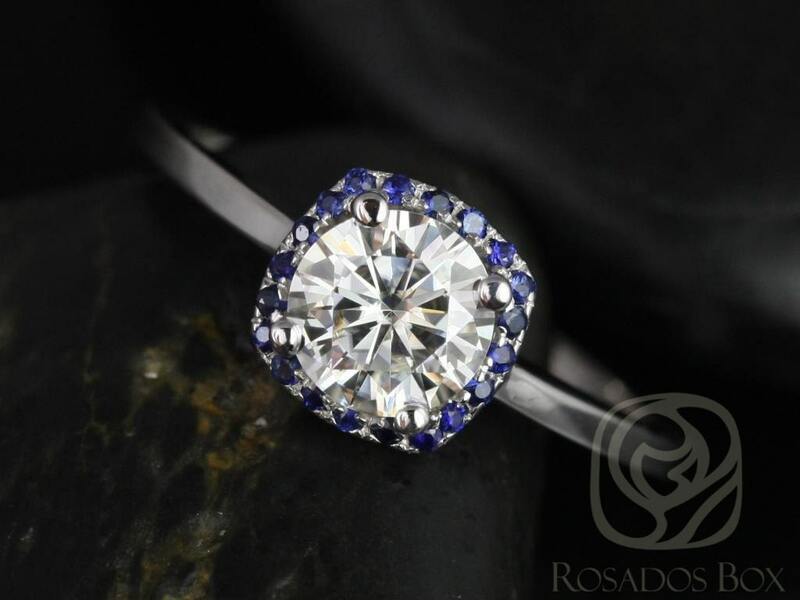 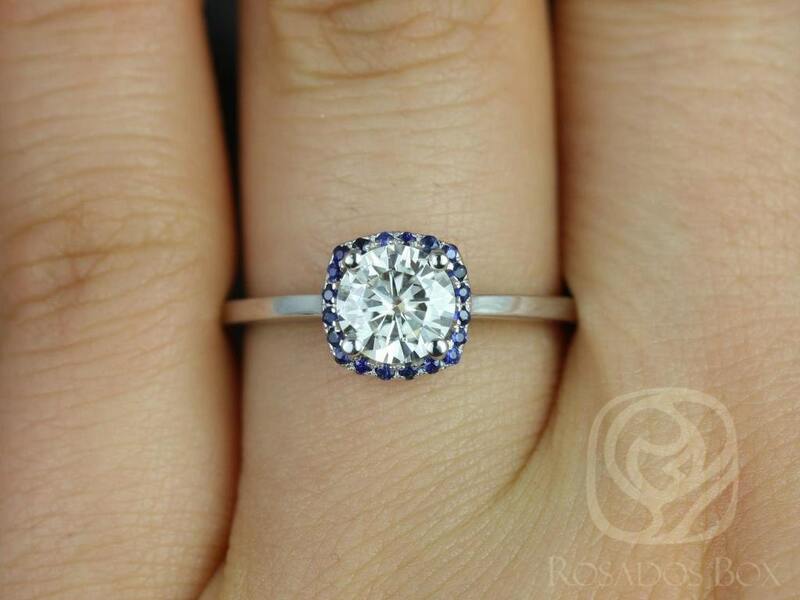 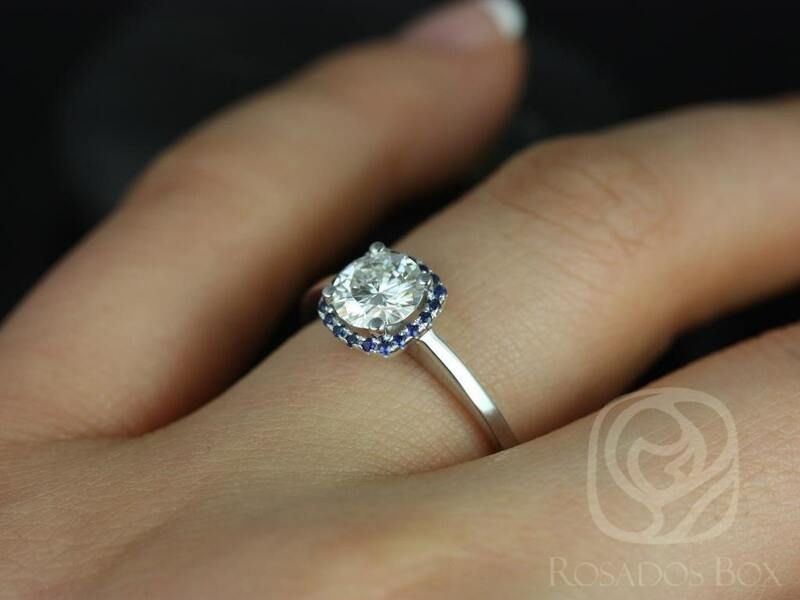 The delicate blue sapphire halo adds depth to the simple design. 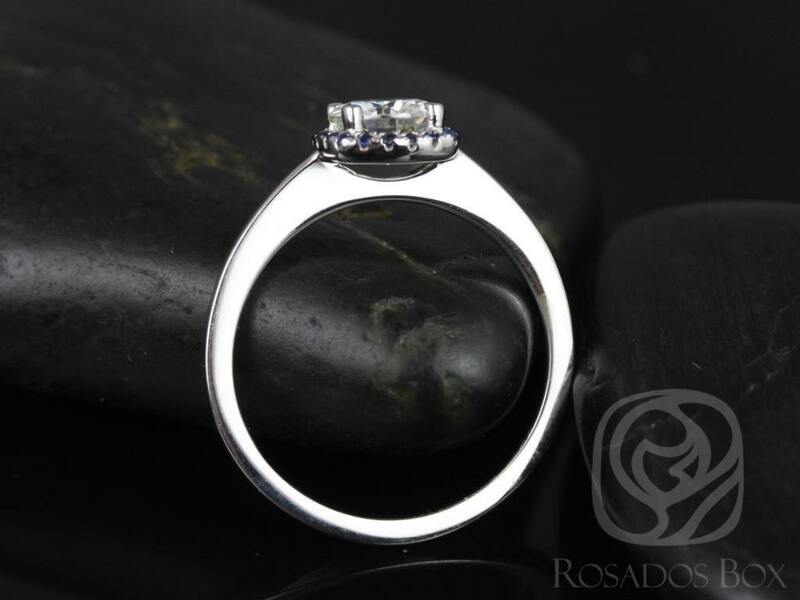 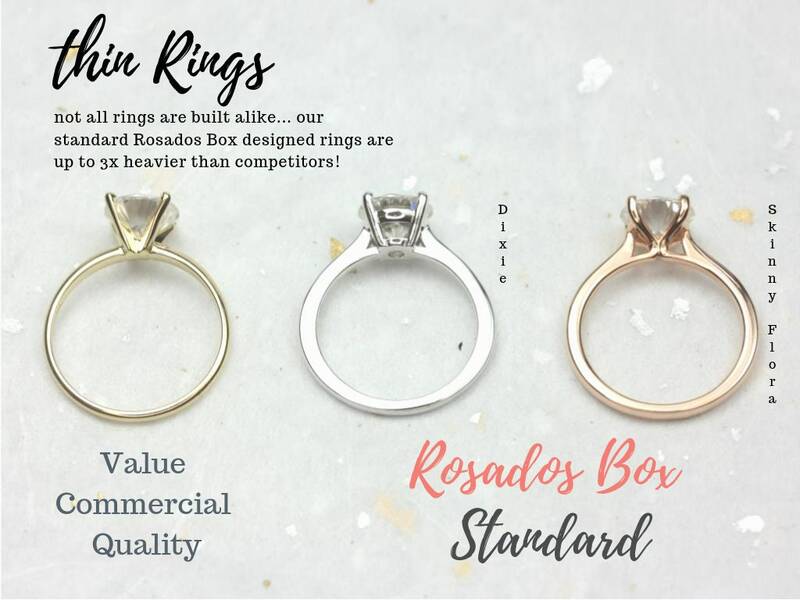 This ring is designed to sit flush with most of our wedding rings.